Hi everyone, just want to anounnce that 626DRIFT will officially be opening our parts department. Mainly for our own line of products for your drift cars. However, we carry many popular brands such as HKS, Greddy, KW, KAAZ, Buddy Club, AEM, Enkei, Megan Racing, XXR, Varrstoen, Apex'i, NRG, Tanabe/SSR, Recaro, and much more! Email us for inquires. Short shifters, one of the best upgrades you can get for your 240sx. The throw on the stock shifter is usually pretty long, and bushings are always worn out. It is one of the cheapest upgrade you can add to your car; in which you can actually feel a huge difference. 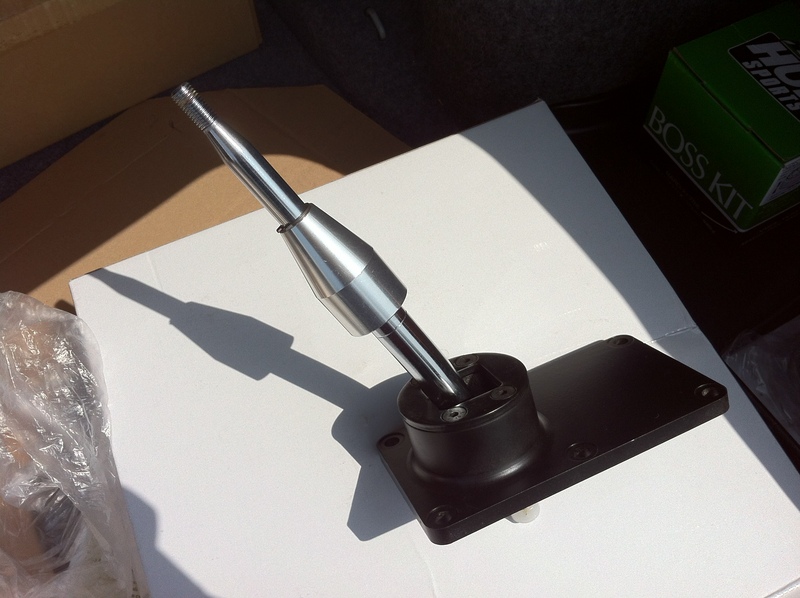 This CNC machined short shifter will fit all 240sx/silvia/180sx S13, 14, 15 with SR20de(t) or KA24de or RB20DE(T). We believe in good, cheap parts, that works. All 626drift products will come with a 1 year warranty!